Ever since former San Francisco 49ers quarterback Colin Kaepernick started the National Anthem protests last year, the nation has been divided. Most of the sports world, however, seems to support them. But not everyone does — and one football player is speaking out. Denver Broncos defensive end Derek Wolfe has, so far, refused to kneel. Wolfe is white, but other white NFL players have taken a knee in solidarity with their black teammates. Last year, one of his teammates, Brandon Marshall, called for players who knelt for the National Anthem to be fired. Wolfe didn’t go quite that far, but he was open about his disapproval. Wolfe released a statement to ESPN reporter Josina Anderson, who posted it on Twitter. Wolfe certainly makes a good point: these are professional football players, who make millions upon millions of dollars to play a child’s game, in the country with limitless opportunities available for anyone to achieve the American dream. And protesting oppression or police brutality is certainly a worthy, laudable thing to do — but how does kneeling during the National Anthem do anything to make a difference? How many of these players are putting their money where their mouths are and actually going into low-income neighborhoods, or starting dialogues with police officers? Instead, it seems to be more about putting on a show to draw attention to themselves than actually making a difference. 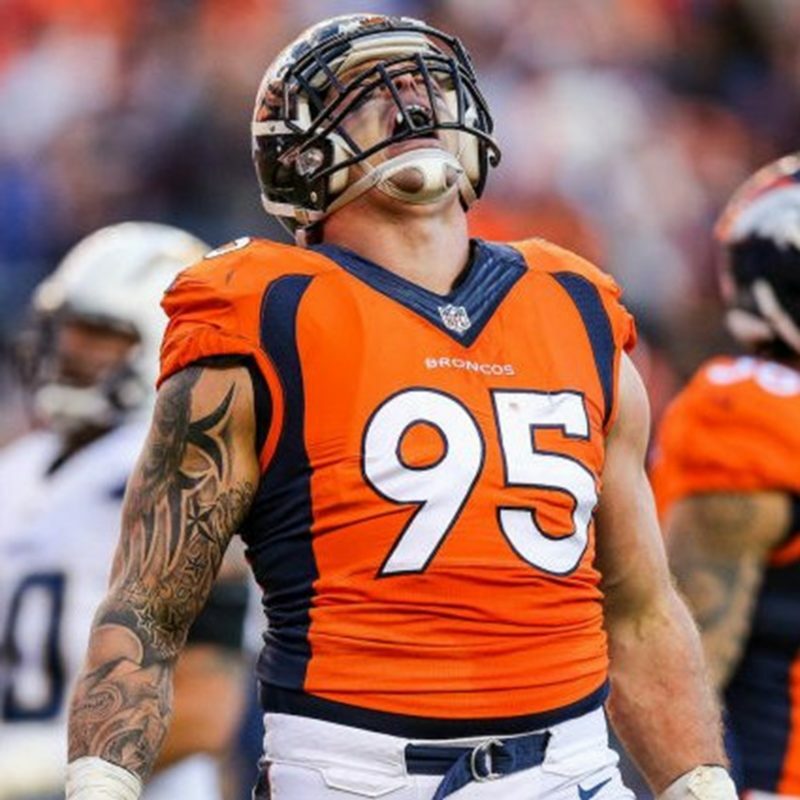 Do you support what Derek Wolfe said?